We are taking the characters into a completely different journey this time because Raleigh for me solved his problem the minute he was able to go full circle and save Mako by sacrificing himself, which is what he couldn’t do with his brother. He’s not on that journey anymore, he’s on a new journey. I said to myself, ‘OK, I want to do a Dan Curtis, 1970s fun horror.’ Not all horror — I’ve done both types of horror — horror can be a deep meditation on the poetic whatever, you know. But horror can also be fun, and I wanted The Strain to go to places that were brutal and gory and this and that, but in a fun spirit. That was my intention. My favorite show ever was Kolchak: [The Night Stalker] and as a kid, I was always going, ‘Why is Kolchak going alone in the middle of the night completely unprepared to meet the zombie?’ And the answer was, ‘Who cares?’ Just get to the zombie. 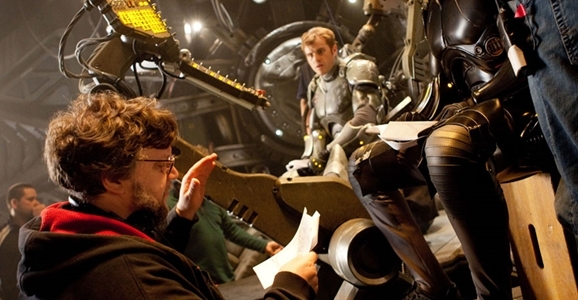 Pacific Rim 2 is set to hit theaters on April 7, 2017. You can catch The Strain Sunday nights at 10/9c on FX.